A 200-million-year-old fossil has been found on the coast of Dorset, and it’s a pretty big deal! The Dorset and East Devon Coast is a world-famous UNESCO World Heritage Site that stretches from Exmouth to Studland Bay. 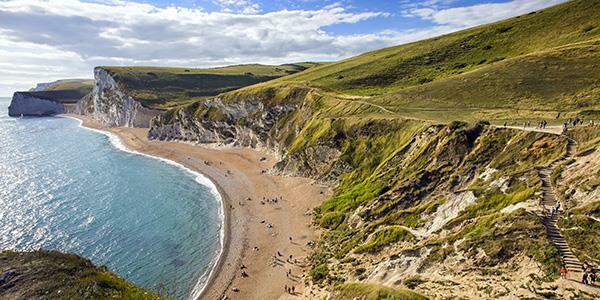 It’s often more commonly known as the Jurassic Coast and the area’s geological history dates back 185 million years. 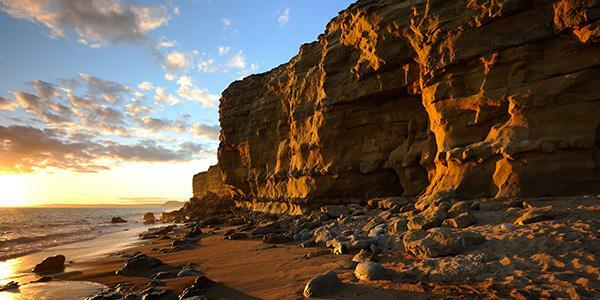 The beaches and cliffs here are well-visited by those on the hunt for the wonderful fossils that this coastline is known for. A recent, astonishing discovery close to Lyme Regis turned out to be some kind of prehistoric sea dragon. 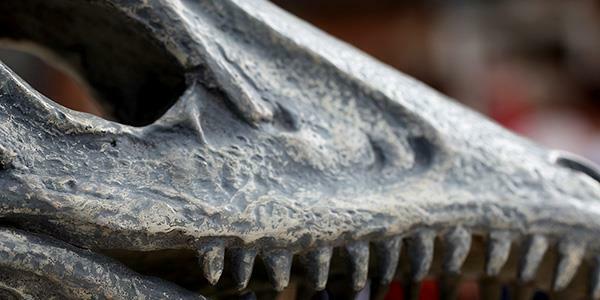 Scientists were able to date its fossilised remains to 200 million years old. 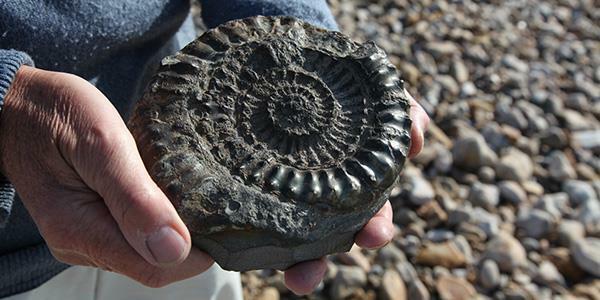 It is common knowledge that the Jurassic Coast is the place to go for fossil-hunters. But less common is the discovery of a fossil that shocks even the experts! That is what happened when the bones of an ichthyosaur were found preserved on the shores of Dorset. 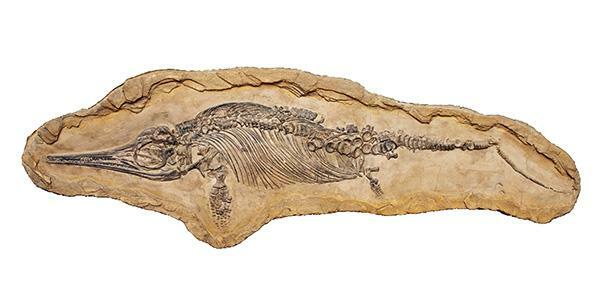 Finding a complete ichthyosaur skeleton is a rare thing that was first documented early in the 19th century. Back then the name ‘ichthyosaur’ (‘fish lizard’ or ‘sea dragon’), was settled on because of the creature’s interesting reptilian features. It has large, beak-like jaws and fins, similar to below. Returning to the same spot, a team began to excavate and were amazed to find almost the full skeleton, but Chris had been right to question it. This ichthyosaur was like none ever discovered before; the fins were bigger and a different shape - it was a whole new species. This one was much larger than the majority of ichthyosaurs that have previously been found at Lyme Regis, around 4.5 metres in length. It was such an important discovery that the unearthing of this incredible creature was actually documented by David Attenborough for the BBC early in 2018. Dorset has always been fantastic for fossils and the reason it is so rich in findings, is because in Jurassic times the area was covered by the sea. Crustaceans and molluscs would have been everywhere (as well as the odd ichthyosaur!). Sediments washed down from the land and turned into layers of shale and limestone. When the sea retreated from the land, the remains of the creatures were preserved, and linger still, in the sedimentary rock forms that still characterise the area. There is no limit to the wonderful things that this rocky coastline keeps hidden in its walls. If you want to explore it for yourself then Langton House provides the perfect base for getting out there and seeing it. Located in Langton Matravers, it’s just 10 minutes from the coastline and the South West Coast Path, England’s longest way-marked long-distance walking route. The South West Coast Path stretches right the way around the south-westernmost point of England, from Somerset, along the shorelines of Devon and Cornwall, all the way to Dorset. It is along here that Langton’s wonderful walking guide, Andy Pedrick, sets out with groups of eager walkers. 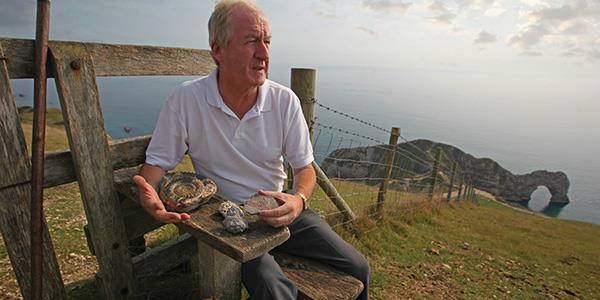 Andy’s stunning coastal walks take place from reception at Langton on Friday mornings. His popular walks lead groups on a magnificent 4½ mile circular route, that passes unrivalled views of the coast. The most common fossils along this stretch of beach are ammonites. They are coiled shells that might be encased in boulders or larger rocks. Keep your eyes peeled as you explore because they’re all over! Find out how to stay at Langton House and join Andy on one of his informative walks by entering your details at the bottom of the page.